How can I get proper help? Hi, I suffered with addiction for 8 yrs from ages 12 to 20. I stayed clean for 11 years with help from a great supporting group at the congregation i went to and of course my higher power whom the Bible calls Jehovah God. In the past few months I have found myself reflecting on past childhood trauma and I am withdrawing back into my addictive behaviors (finding drugs anyway I can). I'm to ashamed to ask for help from my friends and I feel as if I have let everyone down. I am going to a psychiatrist, they don't seem to do much more than offer me more drugs but it seems to be the best way not to lose face. How did this happen after 11 yrs of being free from this junk and how will I ever get my life back? The only time I'm not in despair is while I'm high on some prescription drug? Comments for How can I get proper help? Addiction often reoccurs and based on recent research, relapse is believed to be part of the disease of addiction. The frustration you're feeling must be immense but there is hope and help. 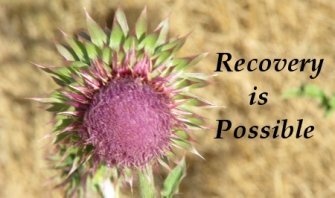 Look for a Celebrate Recovery group in your area and start attending it ASAP. Often it is best to go to different church then the one you attend so that you're confidentiality is honored. Because you were able to stop before it is likely you'll be able to stop again with the proper support. Ask your psychiatrist to refer you to a counselor who specializes in drug addiction and begin going to counseling. If you get individual counseling and go to groups you should be able to stop using drugs. Also, consider going to AA and begin working the steps. Find a sponsor that you can trust and once you have stopped using consider being a sponsor for someone else who is struggling. All of these things will help you to regain control over your addiction. Good luck and may God Bless you as you journey through this terrible problem.